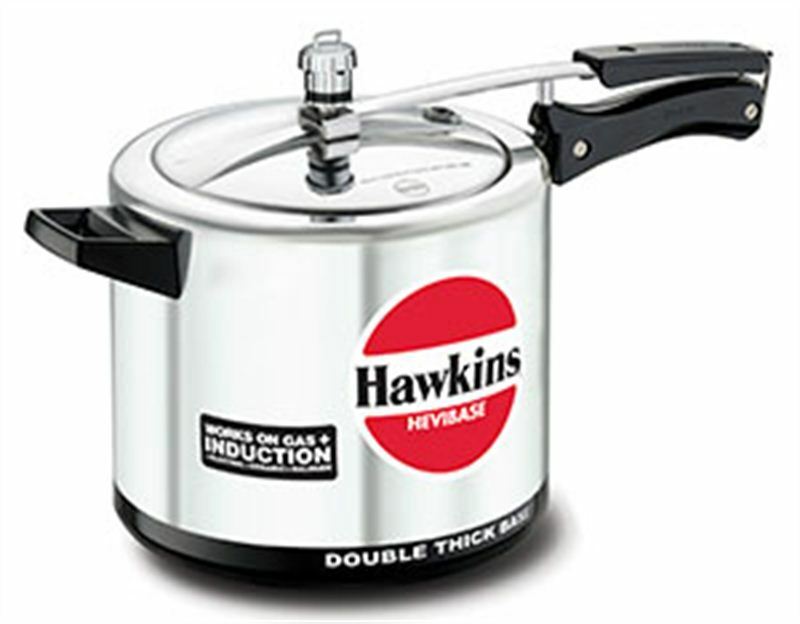 The Hawkins Hevibase Pressure Cooker of commercially pure virgin aluminum is Induction Compatible with an external bottom plate of AISI 430 grade magnetic stainless steel attached to the double thick base. It can safely be used on all domestic gas, electric, halogen, ceramic, and induction cooktops. The double-thick, heavy gauge base is ideal for light frying before pressure cooking. The base stays flat, never bulges. Suitable for gas, electric, ceramic and halogen cooktops. Made from pure virgin aluminum, exterior mirror polished.